This clear sky at the background of my photo shot was during out river tubing, at Maitum, Sarangani Province, Philippines together with my whole family. 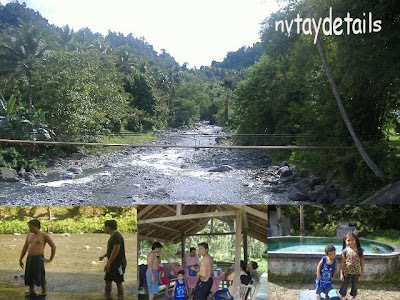 A very fun and enjoyable adventurous event I spent with my whole family and my friends. Hopefully, that someday we will be doing it again. That looks like a fun place to be. I would like to do something like river tubing too.